Dwayne “The Rock” Johnson ha annunciato oggi la fine delle riprese di Jungle Cruise,il nuovo film Disney basato sull’omonima attrazione di DisneyWorld. Soul.. she’s got it. As our production of the epic Disney’s JUNGLE CRUISE comes to an end – I’m a lucky SOB to have the incomparable one, Emily Blunt as my partner in crime, doin’ time on this boundless & wild journey. This is truly, the adventure of a lifetime. #LittleDittyBoutFrankAndLily #OnAndOn #DISNEY #JUNGLECRUISE ???❤️? 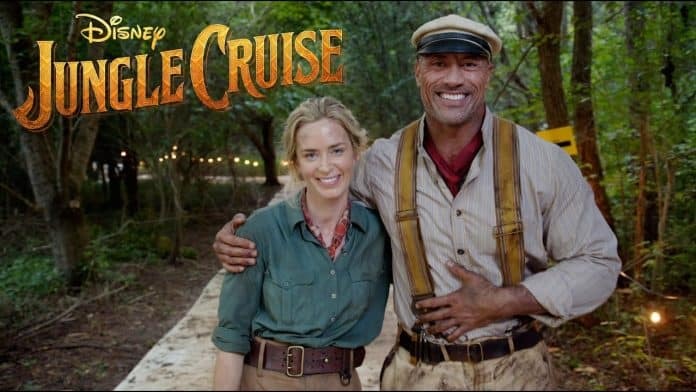 Jungle Cruise uscirà ad Ottobre 2019.